Private coach hire, Corporate & business coach hire, Family occasions and more. If you are interested in travelling with us, call us for a quote and we will be happy to get back to you with a reasonable price. 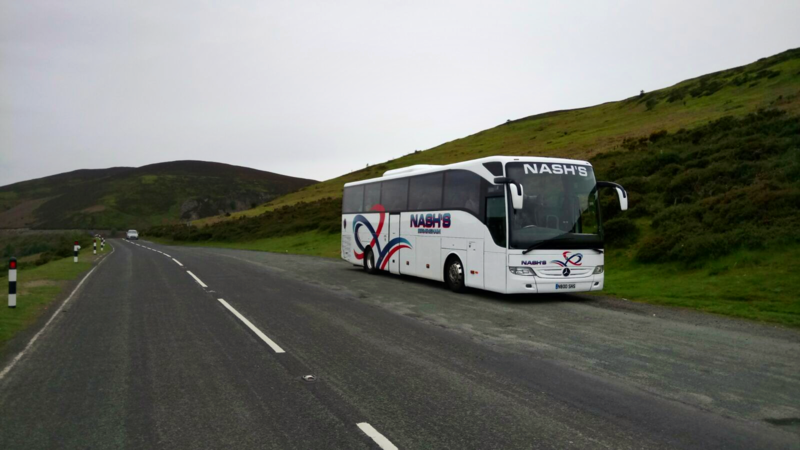 Nash Coaches offer day trips throughout the year. Our brochure includes a range of seaside resorts, trips to historical cities and towns, rural country markets, fun-packed theme parks and many more! We also offer specialist days out to Royal Ascot, Buckingham Palace, North Yorkshire Moors Railway etc. and occasionally offer meals included in your trip. Our extra-long trips include Disneyland or Paris. We have so many day trips to choose from – book yours today! We offer a range of limited tours throughout the year including Blackpool short holidays at Silversands hotel. Additionally, we are delighted to arrange special tours for your own group, which includes your travel as well as the booking of hotels, restaurants, boat trips etc. Whether you are seeking transport for a local or distant, short or long residential school trip and have a small class or a large group of pupils travelling, we can satisfy your requirements. We can also offer regular contract travel such as transport to weekly swimming lessons or a sporting event. 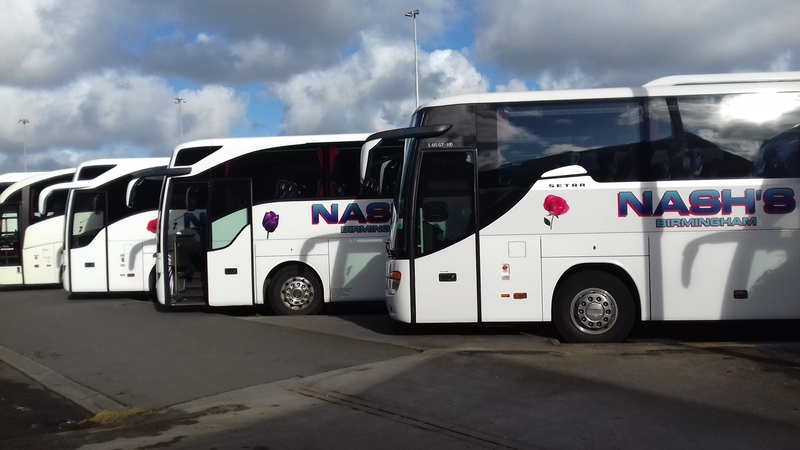 Our drivers are all CRB checked and have many years of experience when it comes to coach hire for schools which can assure the pupils will enjoy their travel with us. I would just like to praise the service we received from two members of your staff...firstly from the lovely lady who took my booking over the phone,very polite,friendly and professional, a real nice change to have someone so pleasant. Sorry I'm not sure of her name but our ticket was no 23296 if that helps to identify her,please pass on our thanks. Also can you please pass on our thanks to our Coach Driver Steve...he was absolutely brilliant...polite,friendly,courteous and attentive to all our needs. It's really refreshing to have such good customer service and as a Company you are very lucky to have both of these members of staff. On our return journey on Saturday, a car lost control in front of our coach, spinning in front of us and colliding into the crash barrier and back into the carriage way twice. The weather had turned, and it had begun to rain heavily. If it hadn't been for Eddie's actions, control of the vehicle, and driving slower I'm sure he would have hit the car, and I dread to imagine what could have happened. Will you please pass my comments on to Eddie's Manager - as I can't put into words how grateful we are to him for getting us home safely. 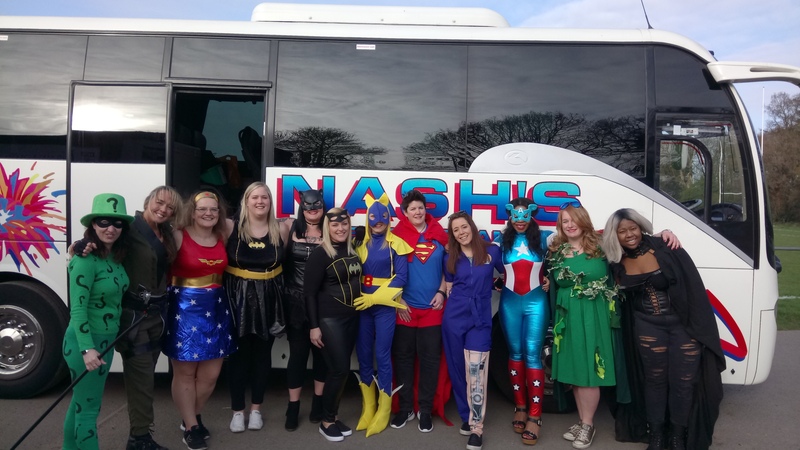 Dear Nash's Coaches, We are just sending this email to let you know that we have never been with Nash's before and we are very impressed with what we saw and what was handed to us for the day. We very much enjoyed ourselves yesterday. The coach was very tidy and very comfortable and spacious with plenty of leg room for my husband who is quite tall. The tour of the lights was outstanding. Thank you again for a very pleasant and enjoyable day out. 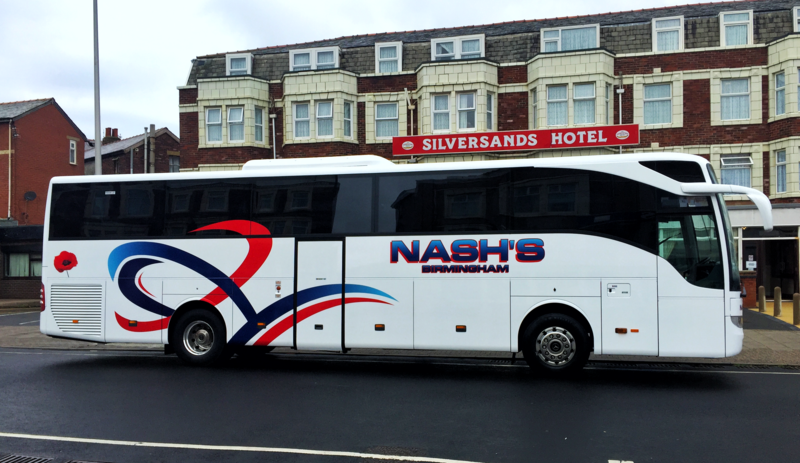 We will be travelling with Nash's Coaches again in the future. Just emailing you to say “thank you” for organising the lovely coach for our visit to London yesterday, and thanks to our driver, Ray, aswell. He was so helpful and accommodating which truly added to the valuable experience which the students gained of the day’s itinerary. Ray is a credit to your company. Again, many thanks – this all contributes to the making a unique visit from which the student can learn so much. Just a brief note to say thank you for supplying a coach to take children to Llandudno at such short notice. Would you also pass on my thanks to John the coach driver, he was very polite and helpful. I am writing to thank you for the excellent service that we received on our trip to Blackpool. Your driver Steve was very obliging and helpful, he made our day even more enjoyable! Please pass on our appreciation to him.